Miranda (Calif.) - Photograph from an album documenting the early years of Serendipity Farm, the self-reliant organic homestead in the coastal mountains of Northern California built and maintained for 30 years by Mark and Sandi Sommer. 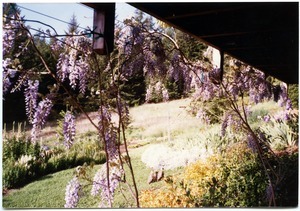 Caption: Wisteria looking out from beneath the house. Note the ducks. 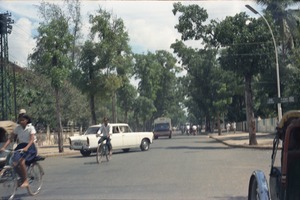 Phnom Penh (Cambodia) - View of cyclists on bicycles and cars in the road, from street level. 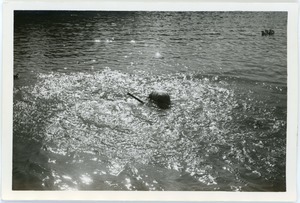 From a series of photographs documenting Sommer's trip to North Vietnam in May 1968. 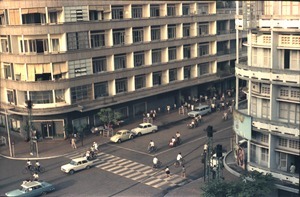 Phnom Penh (Cambodia) - Central Phnom Penh intersection from hotel room, where Sommer stopped en route to Hanoi. 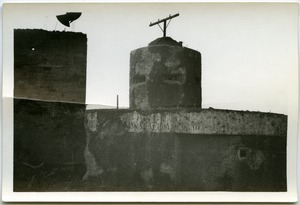 From a series of photographs documenting Sommer's trip to North Vietnam in May 1968. 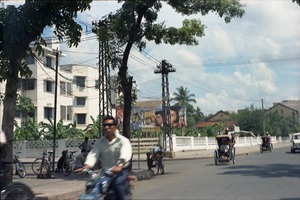 Phnom Penh (Cambodia) - View of cyclists, pedicabs, and car on street beside fenced in buildings and people on sidewalk. From a series of photographs documenting Sommer's trip to North Vietnam in May 1968. Thái Bình (Vietnam : Province) - Young women soldiers training during a drill day sports competition, Thái Bình province. From a series of photographs documenting Sommer's trip to North Vietnam in May 1968. 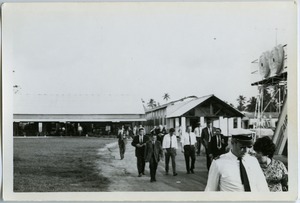 Colombo (Sri Lanka) - Passengers at air terminal, Colombo, Ceylon. From a series of photographs documenting Sommer's trip to North Vietnam in May 1968. 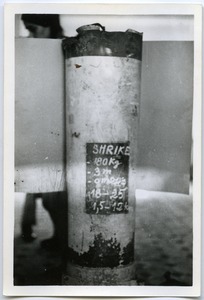 Hanoi (Vietnam) - United States "Shrike" bomb on display in Vietnam Military History Museum. From a series of photographs documenting Sommer's trip to North Vietnam in May 1968. Hanoi (Vietnam) - Concrete bunkers, Hanoi. From a series of photographs documenting Sommer's trip to North Vietnam in May 1968. Ravello (Italy) - Photograph from a Sommer family photograph album documenting trips to Tunisia and Italy in 1998. 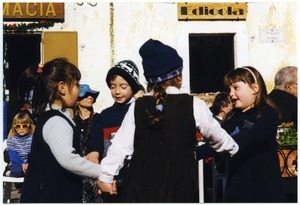 Caption: Maya Sommer at lower left. 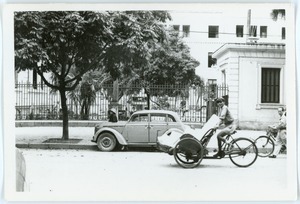 Hanoi (Vietnam) - Cyclist with empty pedicab, outside Thong Nhat Hotel, French Quarter, Hanoi. Street has a car and tree also. From a series of photographs documenting Sommer's trip to North Vietnam in May 1968.